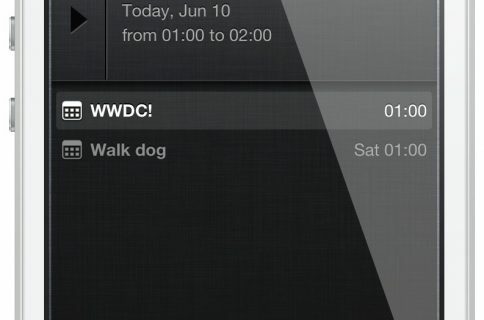 A new tweak was just submitted to the Cydia store today, and it is called RemindMeAgain. 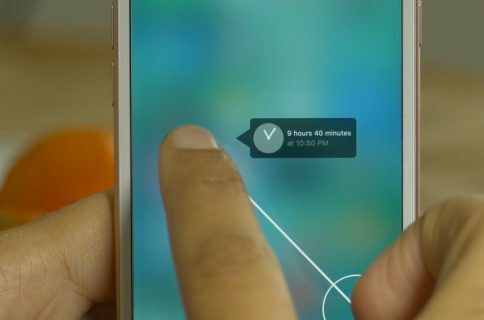 As its name alludes to, RemindMeAgain works with the Reminders app to provide you with Reminders for tasks at preset intervals. RemindMeAgain will continue to bug you at the interval you set, until the task is checked as being complete. 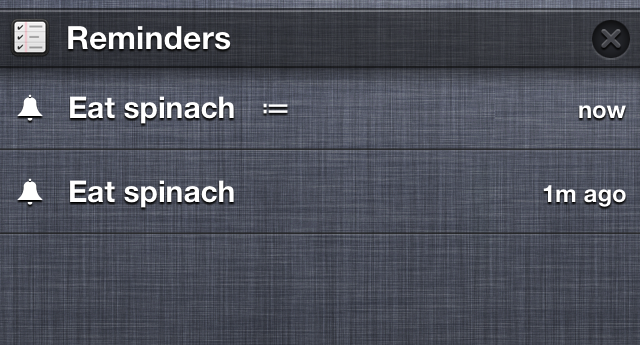 I set a reminder for myself at 7:05, and set RemindMeAgain to remind me at one minute intervals using its preferences. Sure enough, I received notifications at 7:06, 7:07, 7:08, and so on. This can be handy, because there is no way to make Reminders repeat at anything less than a daily interval. 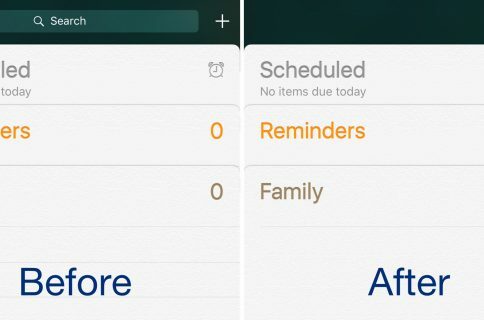 RemindMeAgain may be a simple tweak, but for those of you who rely on the Reminders app day in and day out, you may appreciate what it can do for you. 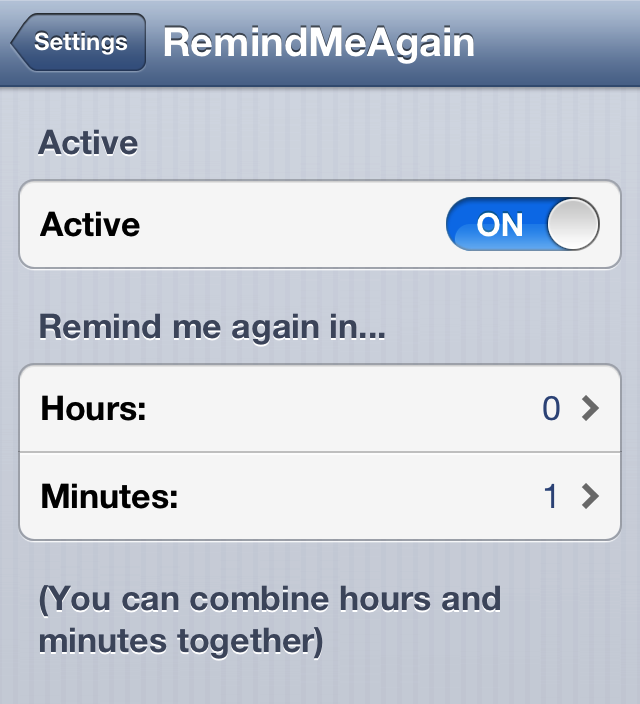 RemindMeAgain was just submitted to Cydia, and should be available for free in the next few days or hours. Let me know what your opinion is about it in the comments below. Update: RemindMeAgain is now available on Cydia.